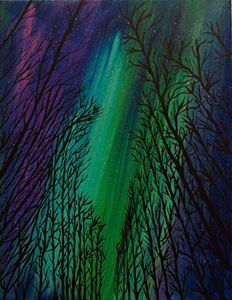 A beautiful and colorful, fine art acrylic painting of the northern lights or Aurora Borealis. 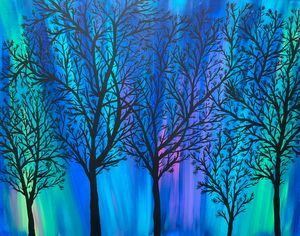 The night sky is filled with vibrant colors behind the highly detailed trees. 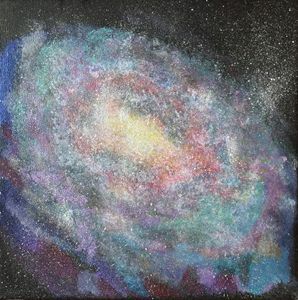 This is an original painting on gallery wrapped canvas by Kim Mlyniec. 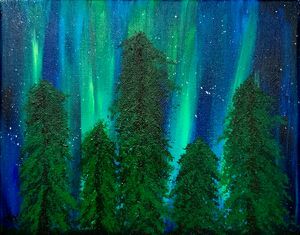 The northern lights are captured on this incredible piece of artwork. 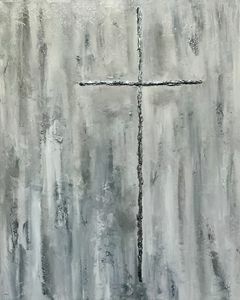 All sides of the original painting are painted black and it is ready to hang. Kim Mlyniec was born in Chicago and now live in a nearby suburb. She is a mom, wife and retired x-ray tech. 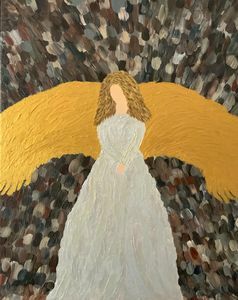 Her love for art started when she was an art mom at her children's school for eight years. 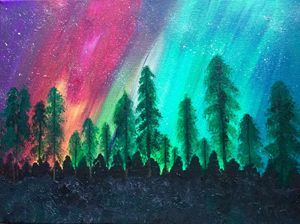 After her retirement Kim started to paint acrylic paintings on canvas. 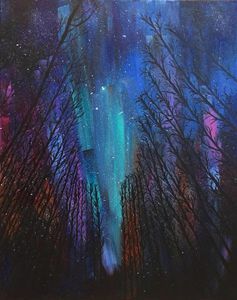 Kim Mlyniec is a self taught artist, learning new techniques everyday. 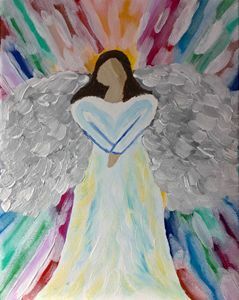 Her paintings are on stretched canvas and painted with quality acrylics. 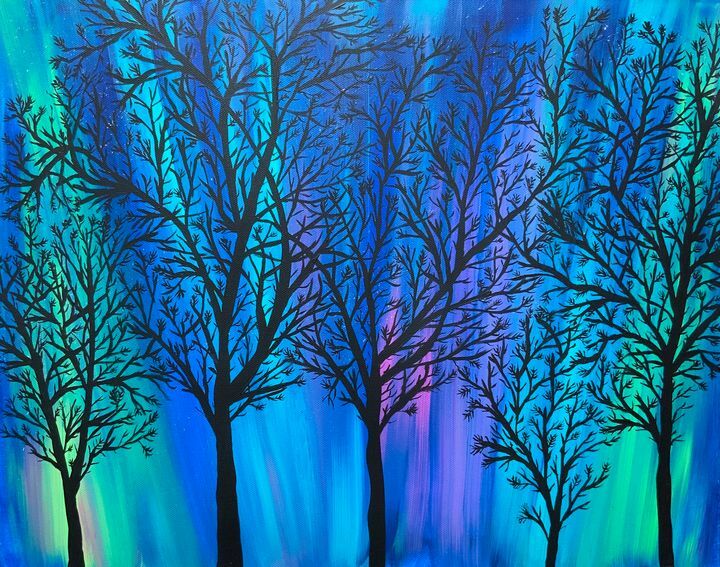 Kim's favorite paintings are abstract and nature, this is where she gets her inspiration. 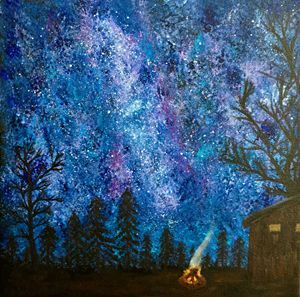 Kim loves to use textured mediums to give her paintings character and depth. 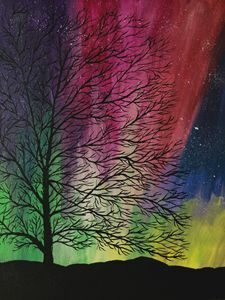 Painting brings her joy, happiness and peace. 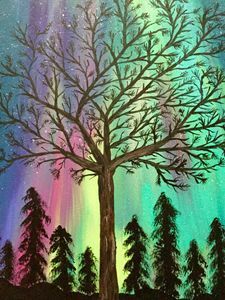 Kim is thrilled to share her artwork with the world. 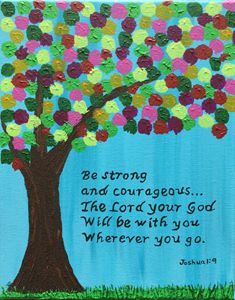 Her paintings are bold, bright and vibrant adding beautiful colors to this wonderful world. 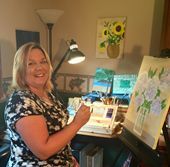 Kim hopes you love her paintings as much as she loves creating them. 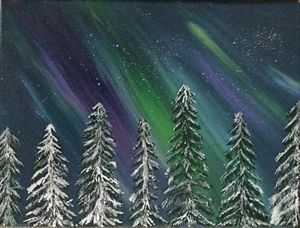 Her paintings have been featured on Michaels.com and many other sites. She was also invited to be the artist of the month in September at The Little Traveler in Geneva. Her motto: Enjoy the life and gifts we are given and share them with the world.